In the north of the province of Alicante, just separated from Denia by the Natural Park Montgó, Jávea is one of the top areas of the Costa Blanca. The walk into Playa del Arenal and its countless caves form a spectacular coastal front in a population with many other great surprises. The region of La Marina is one of the most attractive for foreign tourists (British, French and Germans especially) who discover it while on holiday and often choose to return here to enjoy their retirement. 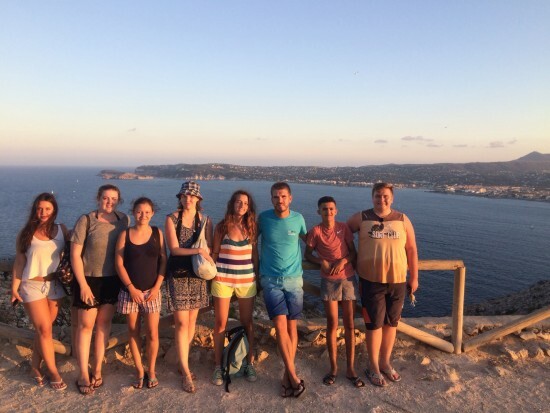 In TLCdénia they offer students of any age a variety of activities outside the classroom including the opportunity to get to know the nearby town of Javea with its spectacular caves and tourist attractions which are available year round. 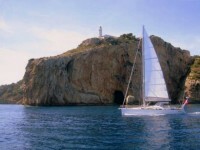 The pleasant temperatures at any time mean Javea is always an appealing place to visit. The mostpopular beach is the Arenal, with its fine sand and crystal clear water, however the cost of this is that it is usually crowded in the summer months. Along the promenade you have shops, drinks, ice cream parlors and restaurants for all tastes and a continuous coming and going of people. For those who prefer a less crowded beach it is recommended to lose yourself amongst the famous pebble, freshwater beaches, like Ambolo and Portitxol, , which are very accessible and you can enjoy the seabed while snorkeling. Another captivating cave is La Granadella, although it is sometimes difficult to access but definitely worth the effort. All have some interesting points that make them an excursion in themselves. 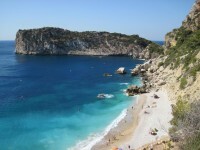 The location of Jávea, between Cape San Antonio and La Nao makes its a spectaular combination of mountains and seaside. The sightseeing route between the two points is not to be missed. And small boat trips for snorkelling or diving are a plus to add on to your visit whenever possible. As you go more inland, but always with the sea in the background, there are many more interesting places to discover. The tour through the old town shows a medieval layout which has been maintained, with white narrow streets, arches and wrought iron railings. St. Bartholomew’s Church, built between the fourteenth and sixteenth century, is a good example of ElizabethanGothic. Its past as a pivotal point in the comercial industry can be seen in all types of civil buildings, homes of some prominent families, the Market and City Hall. 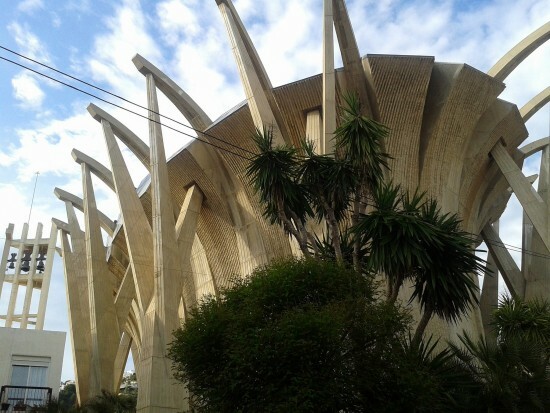 In the seaside neighborhood of Duanes del Mar, near the port dating back to the fifteenth century, we can find an exciting contrast to the amazing modern architecture such as the Church of Loreto, dating from 1967 and remains just as striking and groundbreaking today. The festival of San Juan is celebrated in Jávea every June, but also the Moors and Christians in July and the Virgin of Loreto from late August to mark the end of summer. 365 days and without a doubt, your trip to Jávea will not disappoint.